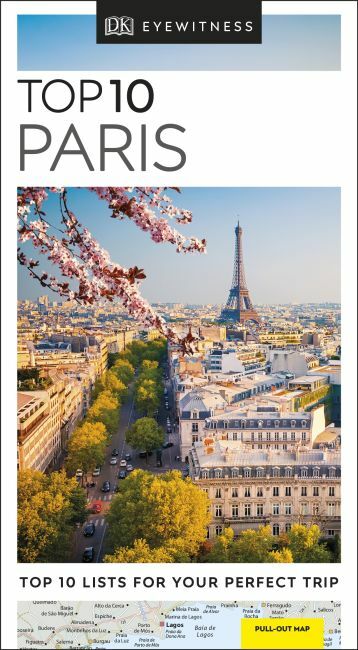 An unbeatable, pocket-sized guide to Paris, packed with insider tips and ideas, colour maps, top 10 lists and a laminated pull-out map - all designed to help you see the very best of Paris. Marvel at the fabulous art at Musée du Louvre, admire the glorious cathedral of Notre-Dame, ascend the Eiffel Tower to enjoy spectacular views, or immerse yourself in the grandeur of the Hotel des Invalides, the final resting place of Napolean Bonaparte. From Top 10 riverfront sights to Top 10 cafés and bars - discover the best of Paris with this easy-to-use travel guide. Staying for longer and looking for a more comprehensive guide to Paris? Try our DK Eyewitness Travel Guide Paris.